The choice of a new helicopter to fly the president of the United States will have symbolic and economic impact on U.S. industry. So far, campaign rhetoric from the competing VXX teams has focused on how American each aircraft can be. Sikorsky calculates its H-92, built in seven countries on four continents, is already 72-percent U.S.-made by value. Bringing offshore sheet metal and composite work into Vought Aircraft shops would make a presidential VH-92 nearly all-American. Lockheed Martin, meanwhile, figures the Anglo-Italian EH101 starts with 30-40 percent U.S. content. 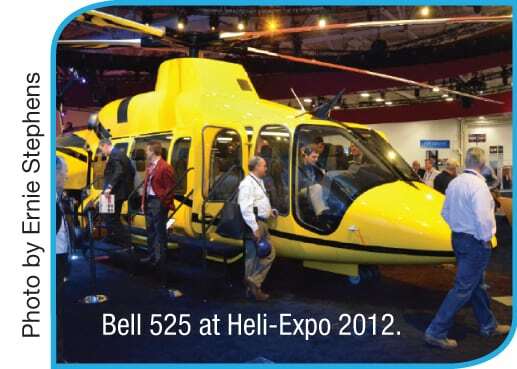 Assembling imported pieces at Bell Helicopter in Texas and integrating high-value electronics in upstate New York should make a US101 at least 65-percent home-grown. The presidential contenders are nevertheless different aircraft designed to different requirements and certificated under different rules. Program officials are reluctant to be quoted, but the big US101 and Collier-winning S-92 each offer performance, safety, and life-cycle advantages for the U.S. Marine Corps MX-1 Executive Flight Detachment. The choice will be based on cost, capability, and development risk. Marine Squadron HMX-1 now uses eight VH-60N Whitehawks (Sikorsky S-70s) with infrared exhaust suppressors and other desirable features for selected missions such as the president's tense pre-war visit to the United Kingdom. However, 11 veteran VH-3Ds (Sikorsky S-61s, shown above) with stand-up cabins and fold-down airstairs remain the preferred presidential transports. The helicopter with the Chief Executive aboard becomes Marine One and the command-and-control platform of the U.S. commander-in-chief. The White House wants a near-term VH-3D replacement that exploits modern technology. 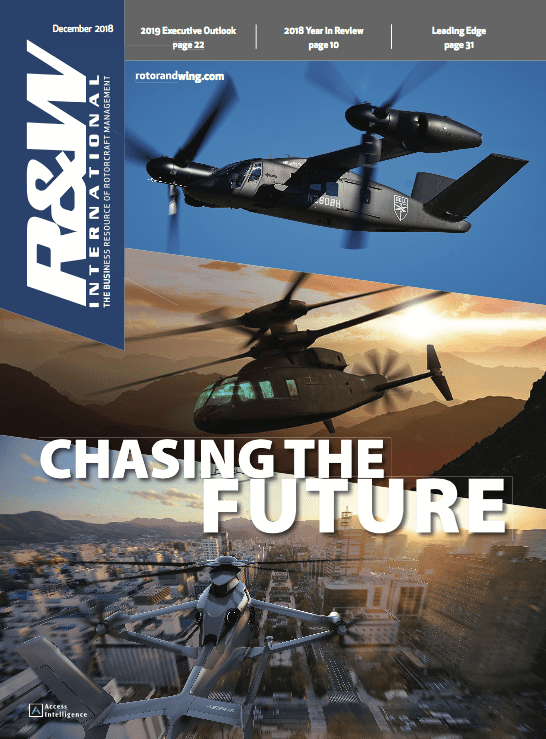 With the V-22 tiltrotor still proving itself, the Naval Air System Command is looking for a low-risk helicopter roughly five times more productive than the VH-3D. 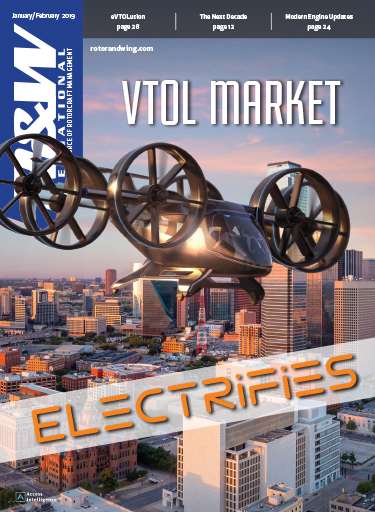 The VXX is expected to provide lower operating and support (O&S) costs and true Oval Office-in-the-sky connectivity. A representative mission starts with a 2-min. flight from Anacostia Naval Station in Maryland to the White House to pick up 14 passengers for a 350-nm. trip. Both the 28,000-lb. VH-92 and 32,000-lb. US101 are powerful, supportable, crashworthy platforms with good payload/range performance. Since 1998, the EH101 has built a solid operating history with British, Italian and Canadian forces. AgustaWestland has military orders from Denmark, Japan and Portugal. However, though the EH101 earned civil certification in 1994, the sole commercial example to date is Big Sky One flown by the Tokyo Metropolitan Police. It carried the emperor and empress of Japan to view earthquake damage in 2002. That same year, the S-92 became the first helicopter certificated under new, harmonized FAA/JAA Part 29 rules for emergency performance, structural integrity and crashworthiness. Sikorsky delivered the first S-92 off the Bridgeport, Connecticut line to oil fleet operator PHI last month. High commercial utilization rates should rack up risk-reducing flight hours about three times faster than military flying. Yet despite impending deals with oil, airline and corporate operators, the very new helicopter has yet to win a military competition. Neither VXX contender has flown with the integrated avionics, secure communications, and aircraft survivability suite planned for the presidential helicopter. 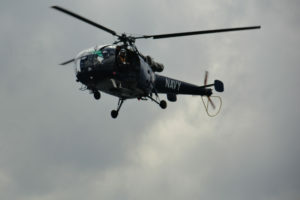 Lockheed Martin in Owego, New York integrates the common cockpit of the Navy's multi-mission MH-60R and MH-60S helicopters, and it can be expected to give the US101 a glass cockpit even more modern than the current EH101 crewstation. Rockwell Collins is the avionics supplier for both the commercial S-92 and proposed VH-92. NAVAIR has already asked the company to incorporate VH-60N features into the Special Operations Common Avionics Architecture being integrated into Army Special Operations helicopters. That system would provide a robust, flexible architecture for VXX. More than just the aircraft, the winning VXX prime contractor must provide a secure support infrastructure including "caged" maintenance facilities, bonded spare parts, and skilled workers with security clearances. While Lockheed Martin has modeled a US101 depot support plan on security measures in place at HMX-1, Sikorsky has a unique presidential history and advantage. The Stratford, Connecticut factory has supported the president's travels since the Eisenhower years. Yankee White clearance to even discuss the presidential helicopters is granted only to U.S. citizens, and the designers of S-92 drive and rotor systems reside in the United States. The choice of a presidential aircraft rests with NAVAIR, Marine Headquarters, and potentially the Secretary of the Navy. With a contract award planned for the first half of this year, HMX-1 pilots should begin training in their new aircraft in 2007 and fly with their Very Important Passenger in 2008. Both the EH101 and S-92 were designed as Sea King replacements, albeit for different missions. In the late 1970s, AgustaWestland (then EH Industries) aimed at a helicopter that would pack more fuel and sub-hunting electronics in the Sea King footprint aboard British and Italian warships. To carry about 50 percent more than a Sea King, yet recover from a hover in an engine-out emergency, the EH101 used three engines to turn its five-bladed main rotor. EHI claimed the British Experimental Rotor Program main rotor was about 30 percent more efficient than those developed for S-61-vintage helicopters. The commercial EH101 certificated in 1994 has a useful load of more than 13,000 lb. and can carry 30 passengers, three crew, and baggage 550 nm. with IFR reserves. The proposed US101 couples the 5,300-shp. main transmission to three General Electric CT7-GE-8E engines rated about 2,500 shp. each. The S-92 unveiled to commercial helicopter operators in 1992 started as a big-cabin Black Hawk with a new four-bladed, broad-chord, high-lift main rotor. It evolved into a totally new aircraft with a 4,200-shp. transmission driven by two uprated CT7-8 engines. Offshore oil operators stress safety, productivity, and operating economy. The commercial S-92 with ample power margins now carries 19 passengers and two crew 439 nm. and has a useful load around 11,000 lb. Sikorsky offers the civil-certificated H-92 with more high-and-hot power and a ballistically tolerant fuel system to military customers. The VH-92 proposed for HMX-1 will have two new GE CT7-8C engines rated around 3,000 shp each. Both VXX contenders will cruise at around 150 kt., roughly 10 kt. faster than the VH-3D. At first glance, the three-engine presidential helicopter offers a safety advantage in One Engine Inoperative (OEI) emergencies. AgustaWestland engineers note an aircraft with one engine dead and two at full contingency power still has about 80 percent of its installed power available. A typical twin-engined helicopter has just 60 percent. 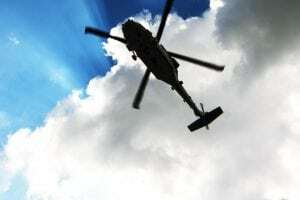 However, both the EH101 and S-92 promise commercial operators Category A performance to climb away or return to an elevated platform in an OEI emergency. 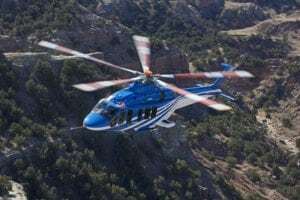 Commercial operators have so far shunned helicopters with a "flying spare" engine that adds to acquisition and operating costs. The Navy prices a T700 (military CT7) turboshaft at more than $600,000, and Sikorsky engineers figure every pound of supporting aerostructure is worth around $1,000 in acquisition price. Fuel consumed and maintenance required by an additional engine adds to life cycle costs. Both RAF and Royal Navy pilots shut down their third engine altogether in cruising flight to save fuel. CH-53E experience convinced Sikorsky engineers a third engine is a costly necessity for only the heaviest helicopters. The cost can be significant. A CT7 turboshaft weighs about 570 lb., and supporting structure and systems hike the cumulative weight penalty for an extra engine to about 1,500 lb. To that burden is added the weight of fuel carried for the flying "spare." Sikorsky engineers calculate a third engine ultimately takes the place of two passengers carried more than the same mission radius. Their system safety analysis notes that just having a third engine increases the statistical possibility of an engine failure, and a comparison of height-velocity curves reveals no significant performance advantage between the two- and three-engined presidential contenders. The big US101 nevertheless promises the presidential contingent lots of working space. Lockheed Martin has drawn US101 interior layouts for 14 to 24 passengers with toilet and galley facilities in a cabin nearly 6 ft. high by 8 ft. wide by 23 ft. long, plus baggage and equipment space. The S-92 matches the space available in the 16-passenger VH-3D with a cabin 20 ft. long and a cross-section 6 ft. high by 6 ft. 7 in. wide-about 2 in. wider than the VH-3D at shoulder height. Both aircraft should give the president a smooth ride. The EH101 Active Control Structural Response system uses computer-controlled hydraulic actuators to dampen vibration and enhance ride quality and avionics reliability. The VH-92 has a rigidly-mounted transmission with its own active vibration suppressor system. Microprocessor-tuned shaker motors counter vibrations internally, while a bifilar under the main rotor enhances the ride quality. The already-quiet S-92 transmission will also benefit from super-polished gears like those now used in the executive S-76. The work environment in both helicopters will benefit from advanced acoustic treatments. However, more than space, the quiet VXX interior is expected to give the president a true office-in-the-sky with e-mail, video teleconference and the full range of secure communications capabilities to contact the Joint Chiefs, senior White House staff, and other heads of state. The White House Communications Agency within the White House Military Office launched Project Pioneer to provide the president seamless communications in the White House, on the Air Force One VC-25, in a limousine and, eventually, aboard Marine One. Lockheed Martin recruited Palomar Products to apply its VH-3D secure communications experience to the US101. Sikorsky meanwhile teamed with Air Force One outfitter L3 Communications Integrated Systems for both the VH-92 executive interior and its communications suite. Plush as it will be, Marine One is a military machine meant for global deployment. Three VH-3Ds fill an Air Force C-5 on Phoenix Banner missions in support of the president. The VH-3D requires its main rotor and transmission be removed to fit the 13.5-ft. high cabin of the C-5. To prove the big EH101 would fit a strategic airlifter, an EH101 was loaded aboard an RAF C-17 in 2002. Lockheed Martin claims the US101 would be ready to fly again less than 2 hr. after removal. Marine One is rarely rushed to fly-post-assembly maintenance check flights are usually followed by a prudent 5-hr. "penalty" flight. Like the US101, three VH-92s will fit in a C-5 or one in a C-17. The H-92 will fit the Galaxy with only main rotor blades and tail pylon folded and vibration-reducing bifilar quickly unbolted. Sikorsky believes preparation for deployment and reassembly for flight will take just 2 hr. on each end. The deployable VH-92 will need no dedicated ground support equipment like the dollies required to load an EH101 on a C-17. With the president aboard Marine One, the obvious priority of HMX-1 is safety. 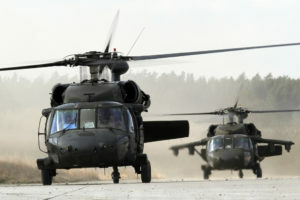 Both the US101 and VH-92 are equipped for flight in icing conditions and state-of-the-art avionics should increase safety in the full range of operating environments. Though the S-92 was certificated to later, more stringent international requirements, both promise new levels of damage tolerance and crashworthiness in a mishap. The US101 design benefits from modern aluminum-lithium alloys and non-metallic composites and redundant load paths to withstand damage and faults. The basic EH101 has a projected design service life of 20,000 hr. in the military utility role or 30,000 hr. in commercial passenger service. The same design philosophy carries over to the dynamic components. The EH101 main rotor hub, for example, combines a metal core with two composite plates and multiple bearing rings. The all-composite main and tailrotor blades are damage tolerant. As a presidential transport, the US101 offers ample systems redundancy to keep flying in case of failures. Three independent electrical and hydraulic systems are designed to shed load and help manage in-flight emergencies. Dual lubrication circuits, each with its own pump, filters, and cooler, protect a main transmission and other gearboxes. If lubrication is lost, each gearbox has 30-min. run-dry capability. Should the EH101 come down hard, the landing gear absorbs vertical impacts to 32 fps, and the presidential interior can be expected to include energy-attenuating crew and passenger seats. The EH101 fuel system was also designed crashworthy under the toughest military specifications of the time - MILSTD 1290- with self-sealing fuel tank connections, extra slack in electrical cables to prevent sparks in a crash, and other safety features. From its battle-hardened Black Hawk lineage, the H-92 inherits fully redundant electrical systems, triply redundant hydraulics, and separated, redundant flight controls. The S-92 is also the first helicopter in the world to meet the flaw tolerance requirements of FAR/JAR 29.571 Amendment 28. Critical components cannot fail due to corrosion, nicks, scratches, or dents. Near-invisible damage caused by a maintainer who drops a wrench cannot later threaten the aircraft and its passengers. Significantly, the new rules required S-92 engineers prove their unprecedented levels of flaw tolerance and birdstrike, lightning, and turbine burst protection. Small flaws can generate no cracks over the full 30,000-hr. service life of the airframe. Larger flaws are qualified without cracks for at least 1,250 hr. to remain safe until the next phase inspection. The S-92 titanium main rotor hub was tested to ultimate strength with 17 flaws. The FAA likewise required damaged composite structures be tested with deliberate voids under high- and low-cycle fatigue conditions. The S-92 certification criteria dramatically expanded the scope of birdstrike testing. More than just windshields and other cockpit structures, any component subject to a bird impact must be strong enough to survive the strike. All covers and fairings must be tough enough to prevent penetration. Previous criteria protected the flight crew but left critical aircraft systems vulnerable. To protect those critical systems, S-92 engine inlets, main rotor, flight control fairings, and other safety areas were tested to survive the impact of a 2.2-lb. bird at 165-kt. never-exceed speed. Like the EH101, the H-92 gearboxes can run for 30 minutes with loss of lubrication. The H-92 also has a main rotor head, tailrotor hub, tailrotor driveshaft, and tailrotor blades all designed to withstand ground fire. The new wide-chord main rotor blades of the S/H-92 are tested to keep flying for 30 min. after a major spar impact. Much as the new helicopter exploits the crashworthy, ballistically tolerant lineage of the Black Hawk, the VH-92 promises the highest levels of protection in a crash. The H-92 gear absorbs loads up to 21 fps. at aircraft design gross weight, but in company with the EH101, the H-92 meets MILSPEC 1290 crashworthiness requirements. Like the military S-70, it keeps its engines, transmission, and other high-mass items in place with loads to 20 g. forward, 20 g. downward, 18 g. laterally, and 10 g. upward. The rigid cage structure of the H-92 is designed to prevent the landing gear from coming up or the transmission from coming down into the passenger cabin. In contrast to the US101, the VH-92 separates fuel from passengers in crashworthy sponson cells rather than stashing it under the cabin floor. For added protection, the toughened H-92 incorporates ballistically tolerant fuel cells that reduce overall capacity 10 gal. but seal themselves if penetrated by 7.62-mm. rounds. The H-92 suction fuel system has no boost pumps, and crashworthy hoses are terminated by self-sealing breakaway valves. The presidential VH-3Ds are the most expensive helicopters in the U.S. inventory to operate. Based on Department of Defense reimbursement rates, the VH-3D costs nearly 2.5 as much to fly as an unfurnished UH-3H Sea King. 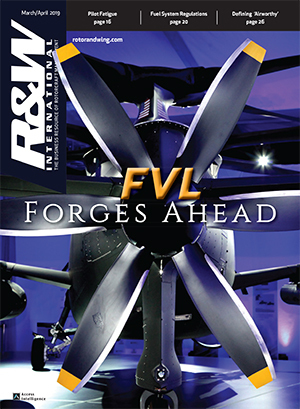 VH-3D phase inspections are conducted at squadron-level every 150 hr. Parts with finite service lives are replaced from special stocks at half their specified times. The presidential helicopters return to the manufacturer every 1,000 hr. or two years for Special Progressive Aircraft Rework (SPAR), during which components are refurbished to blueprint tolerances instead of normal re-work standards. Both presidential contenders will look after themselves with Health and Usage Management Systems (HUMS). Both are designed to reduce and simplify maintenance tasks. AgustaWestland claims the Merlin needs just four maintenance manhours per flight hour in U.K. military service. HMX-1 routinely deploys multiple, self-contained detachments including maintainers, technical representatives, and spares for the duration of presidential events. The Royal Navy Merlin was designed to deploy aboard small ships for a month at a time with four maintainers or three months with nine maintainers. While the president's helicopter will never be cheap to maintain, the EH101 HUMS promises predictive data on gears and bearings to extend component lives and lengthen times between SPARs. Current Sikorsky estimates nevertheless peg H-92 direct maintenance costs of slight more than $900 per flight hour, about three-fifths the figure projected for the three-engined alternative. Approximately half the savings stem from on-condition components without prescribed fatigue lives. The H-92 engines, Auxiliary Power Unit, and main and tailrotors are all on-condition maintenance items without scheduled service intervals. The main gearbox is cleared for 6,000 hr. between overhauls, and the infinite-life main rotor head is designed for 50,000 hr. before overhaul. The critical dynamic systems are monitored by a Goodrich Integrated Mechanical Diagnostics-Health and Usage Management System. More robust components with reduced inspection and maintenance requirements also protect dispatch reliability. Compared to earlier generation helicopters, the S-92 reduces maintenance activities 80 percent to avoid downtime and cancelled flights. It requires phased inspections every 1,250 hr. and a 50-hour walk-around, significantly less than previous helicopters. In a dangerous world littered with shoulder-fired, infrared-seeking, surface-to-air missiles, the VXX must also provide a high level of security. No one will discuss VXX survivability equipment, but press photos of VH-3Ds and VH-60Ns reveal ALQ-144 infrared jammers, and T700-engined VH-60s wear Black Hawk-style engine exhaust suppressors. The current ASE suite is reported to include the ALQ-156 missile warning receiver and ALE-47 flare and chaff dispensers. More sophisticated and diverse threats nevertheless demand more advanced and integrated countermeasures. RAF Merlins on their US101 marketing tours wore no infrared suppressors but have a British Aerospace Helicopter Integrated Defensive Aids System blending a Sky Guardian radar warning receiver, AN/AAR-57(V) Common Missile Warning System, AN/ AVR-2A laser warning system, AN/ALE-47 flare/chaff dispensers, and the Northrop Grumman AN/ALQ-24 Nemesis Directed Infrared Countermeasures (DIRCM) system. A US101 survivability suite integrated by Lockheed Martin should provide similar capabilities. Northrop Grumman Defensive Systems Division joined the Sikorsky team and will presumably apply DIRCM to the VH-92. The Hover Infrared Suppressor System on the VH-60N imposes a three-percent power penalty on the T700 engines and weighs about 240 lb. per shipset. Similar protection could be applied to either VXX contender with their CT7 engines. The stakes in the VXX competition are greater than the 24-odd aircraft sought for HMX-1. The brand-new Sikorsky H-92 needs the presidential endorsement to help win military orders in the United States and abroad. 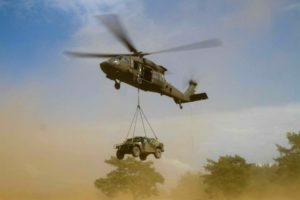 A Lockheed Martin victory would give the US101 a shot at 132 notional Personnel Rescue vehicles for the U.S. Air Force and possible long-range rescue helicopters for the U.S. Coast Guard. Lockheed Martin stresses the maturity of the EH101 makes the US101 a low-risk presidential helicopter, one with extra space for the chief executive and his staff. Sikorsky Aircraft acknowledges sheer newness hurt the H-92 when it challenged the EH101 in Japan and elsewhere. However, tough commercial requirements and modern certification standards can give HMX-1 confidence in an available, supportable helicopter that is even safer to fly and less costly to operate. The risk of VXX will be in integrating a presidential mission equipment suite in an affordable package.